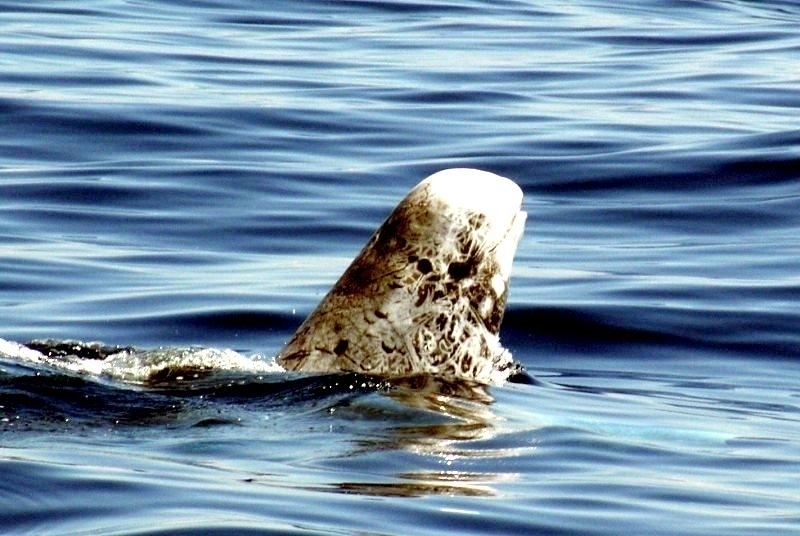 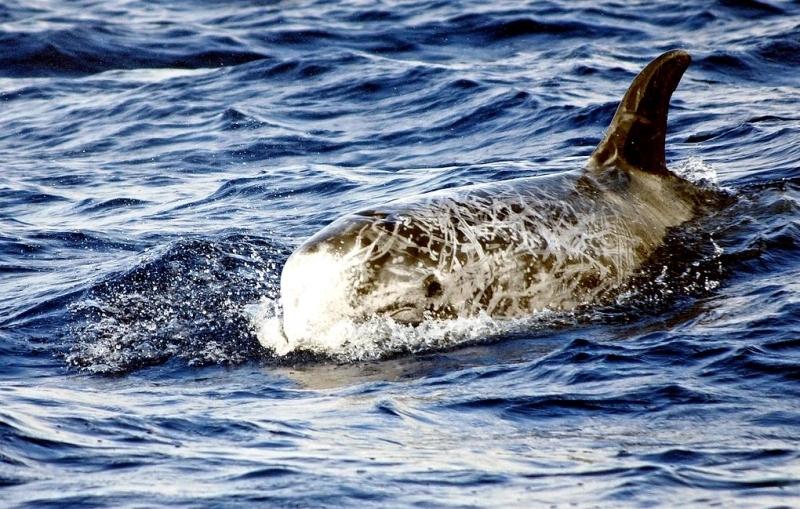 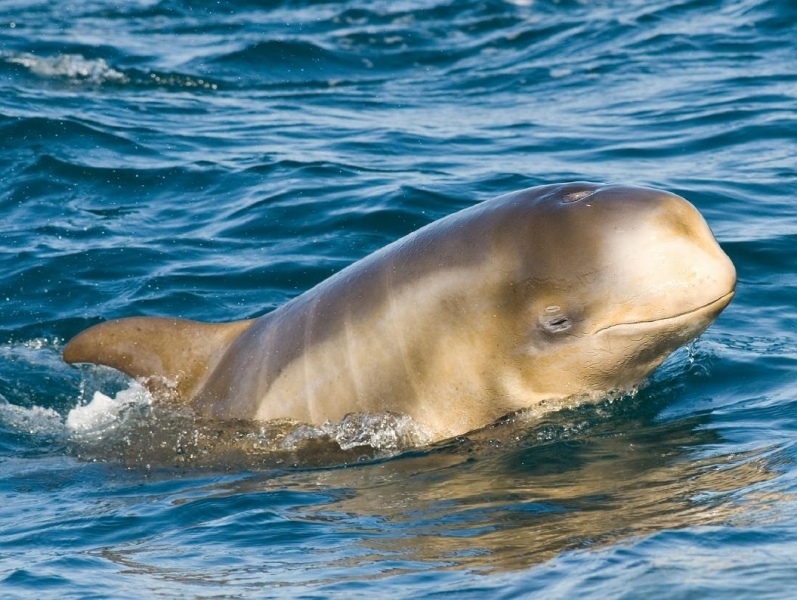 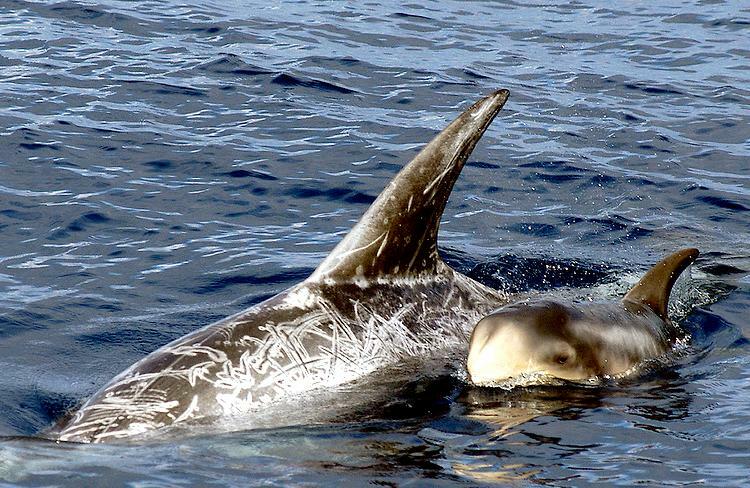 Risso’s Dolphins are rather large cetaceans with rounded heads, similar in shape to Short-finned Pilot Whales. 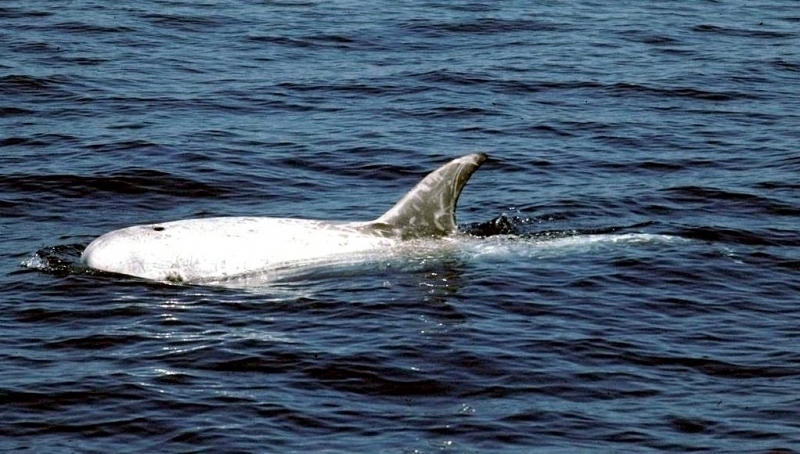 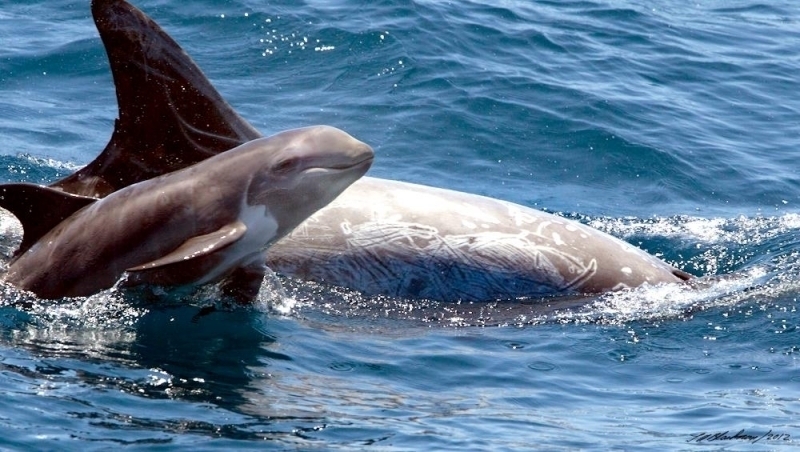 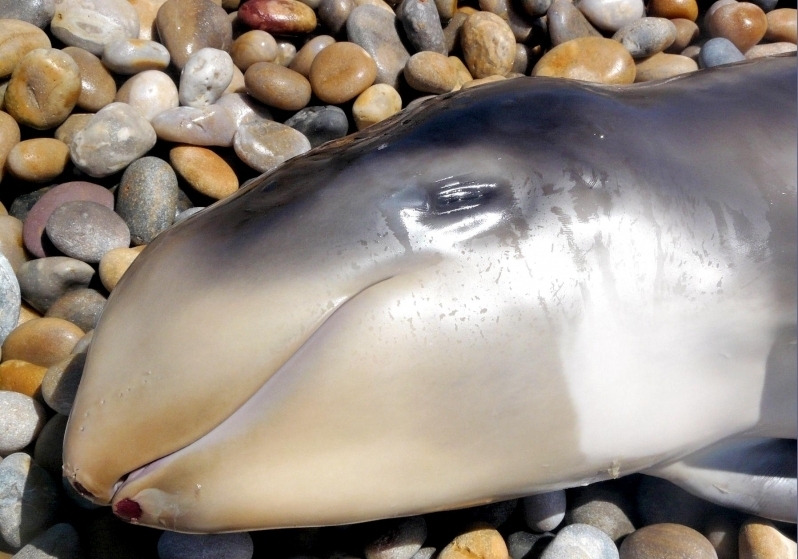 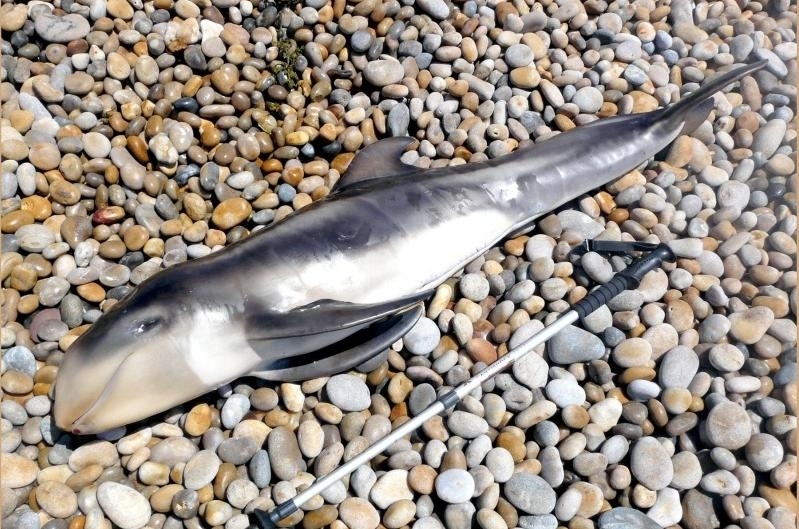 The Risso’s Dolphin is named after French Naturalist Antoine Risso, whose description formed the basis of the first public description of the animal. 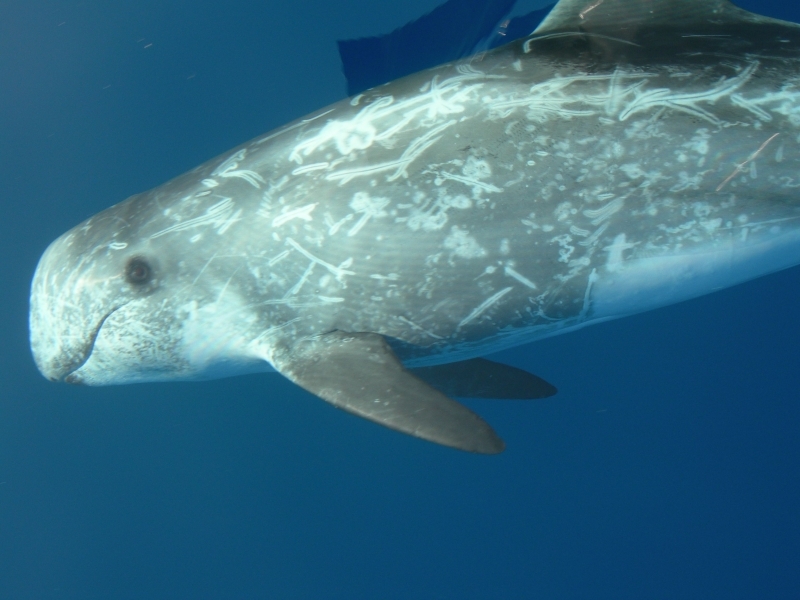 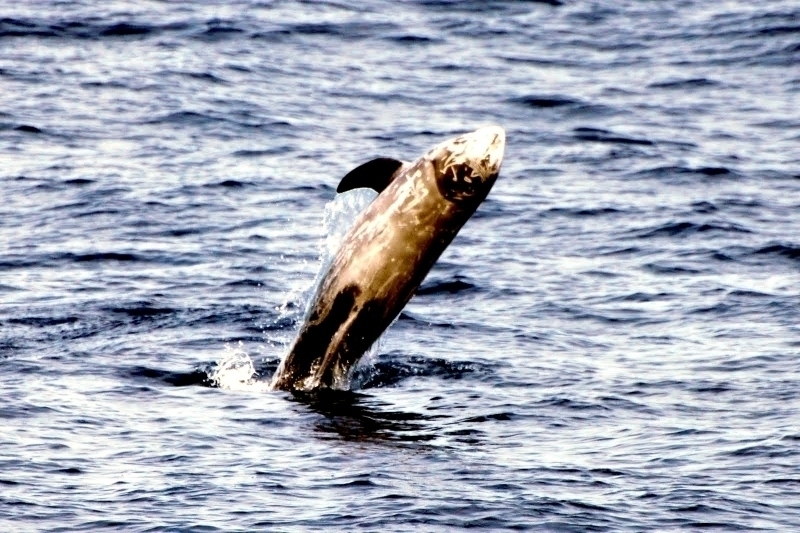 Another common name for the Risso’s Dolphin is “Grampus”. 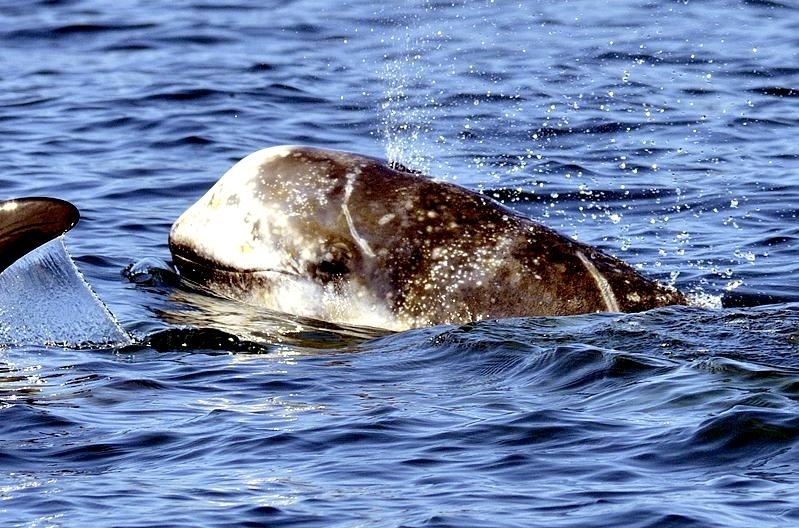 They have a characteristic crease in their melons (the organ in the front of the head used for echolocation) visible from the forehead to the mouth. 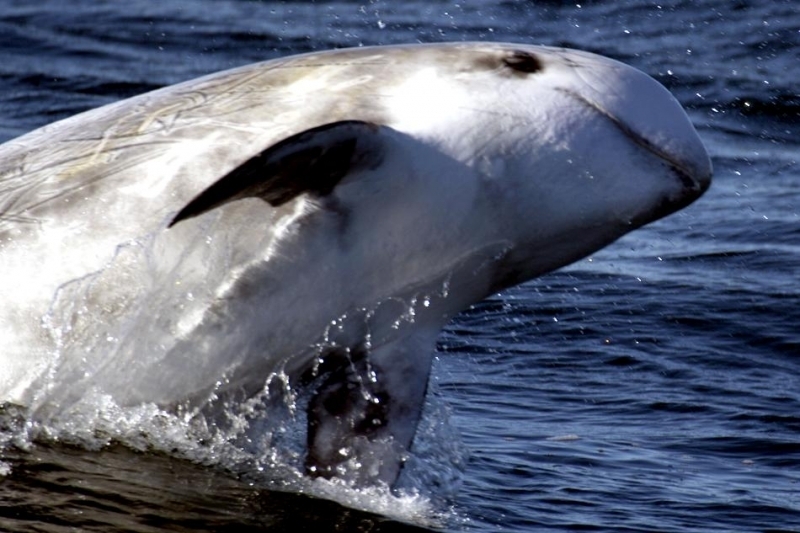 They have 7 or fewer pairs of teeth located in the front of their lower jaws. 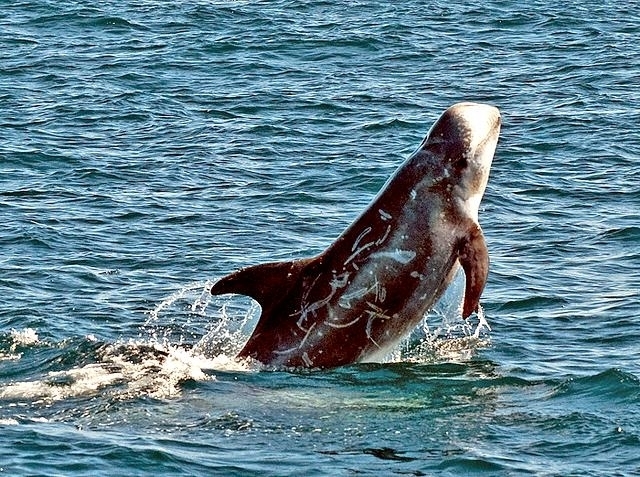 Adults are a dark gray with a white underside that becomes whiter with age as the heavy crisscrossed scars that cover their bodies increase. 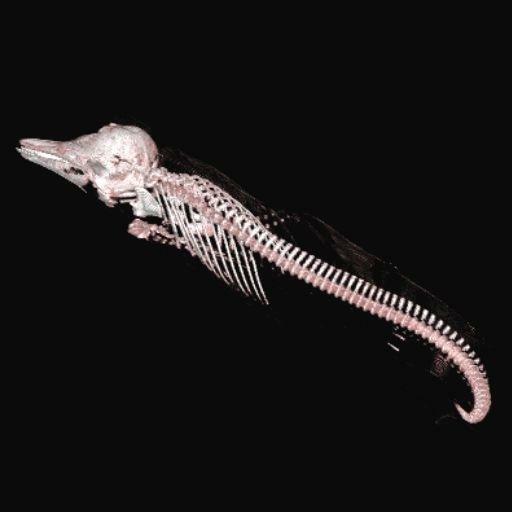 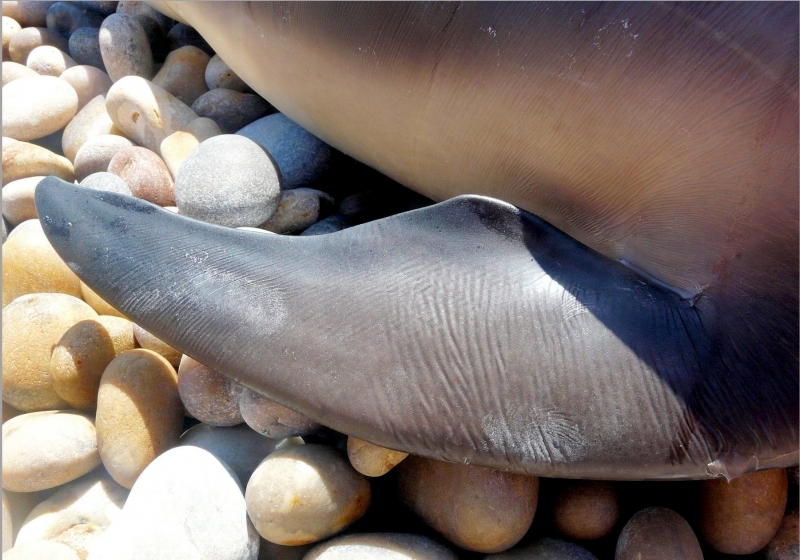 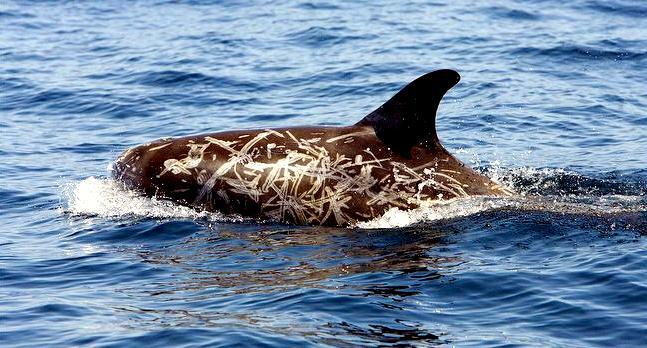 These scars likely result from encounters with other Risso’s Dolphins and one of their primary preys, Humbolt Squid. 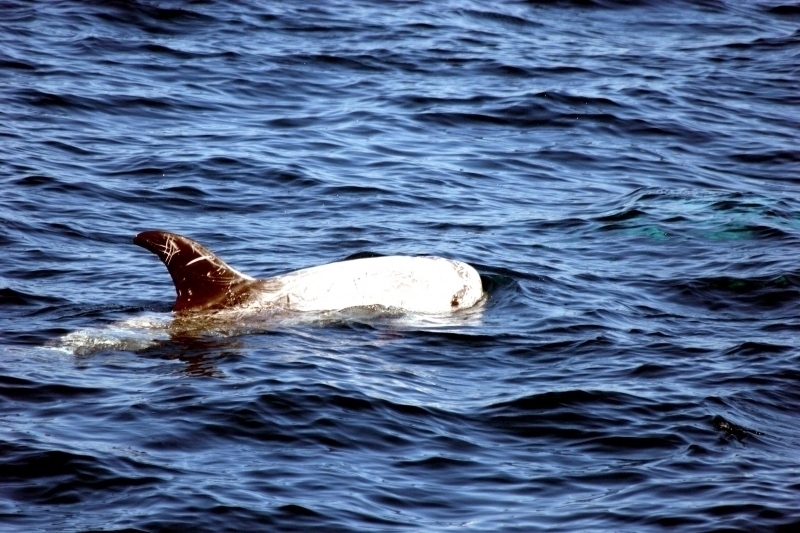 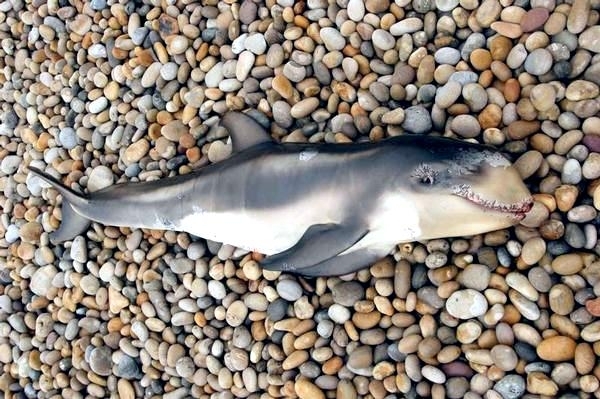 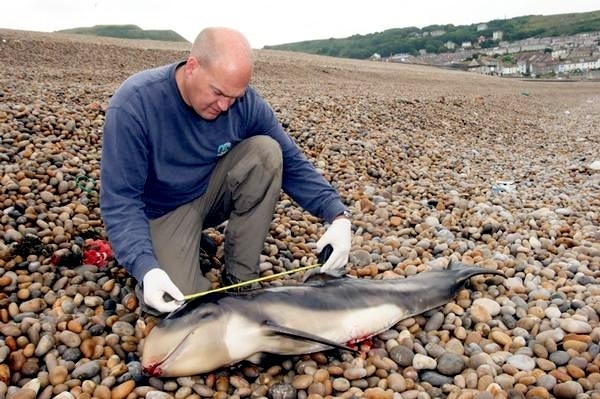 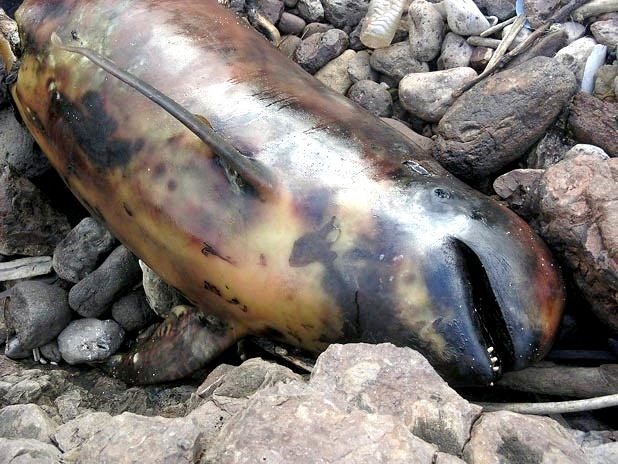 Circular white scars have also been noted resulting from bites of Lamprey Eels, cephalopods, Cookie-cutter Sharks and some from infestations of parasites or bacterial infections. 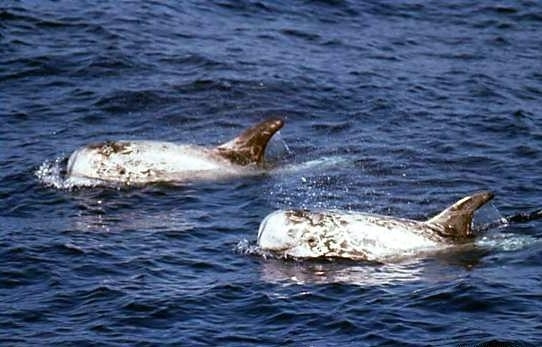 Juveniles are light gray, which darkens as they age to a brown-gray. 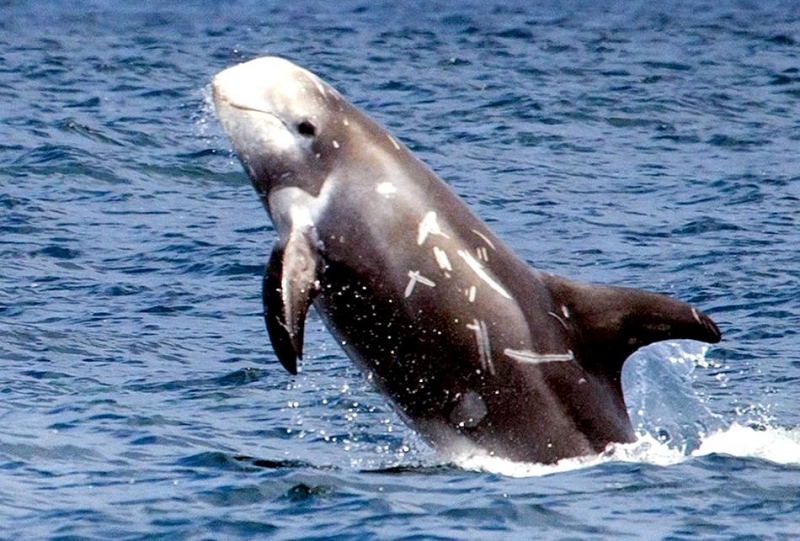 Like Long-finned Pilot Whales, Risso’s Dolphins have a white anchor-shaped patch on the ventral side. 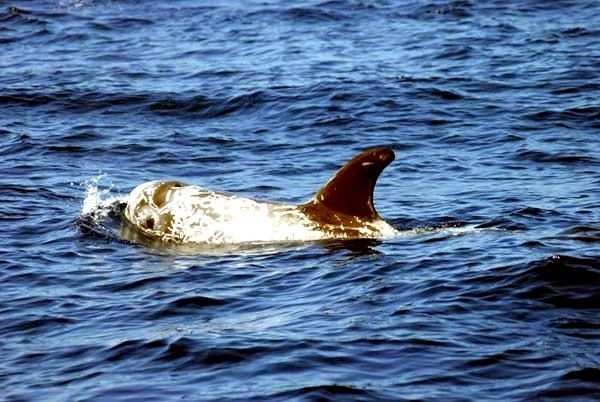 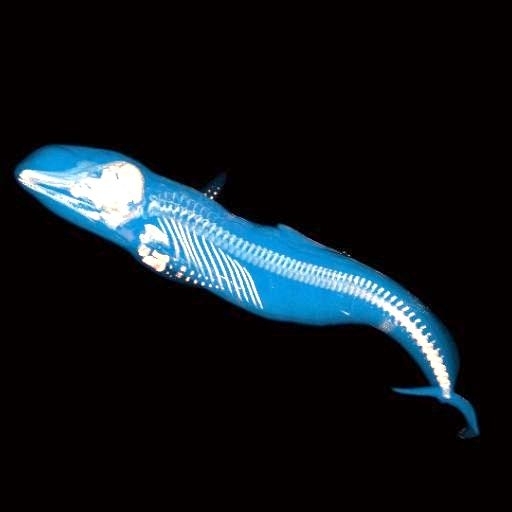 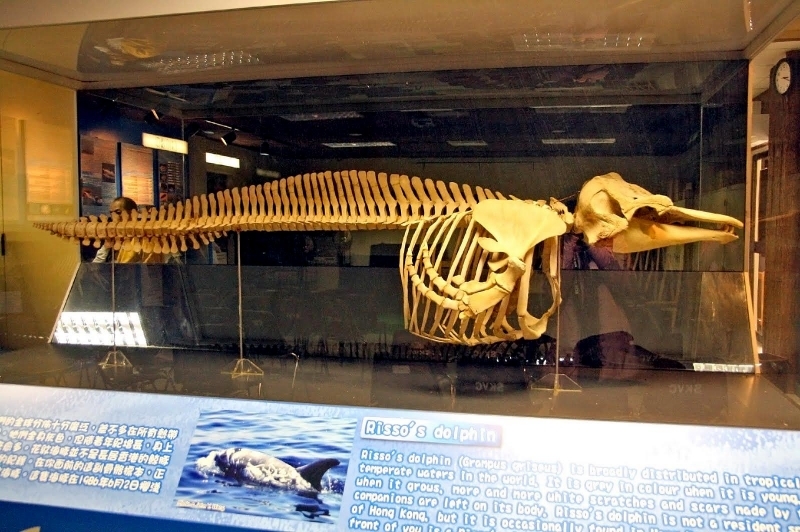 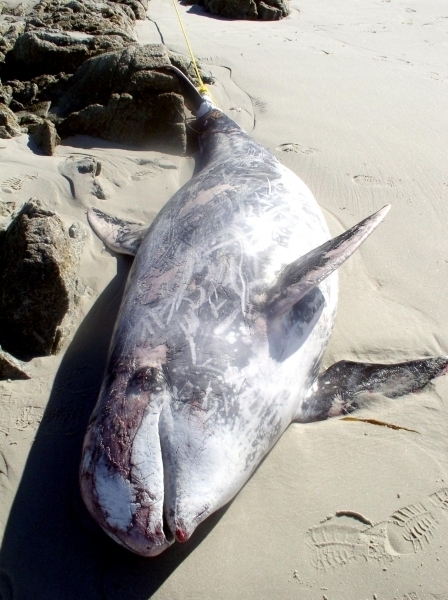 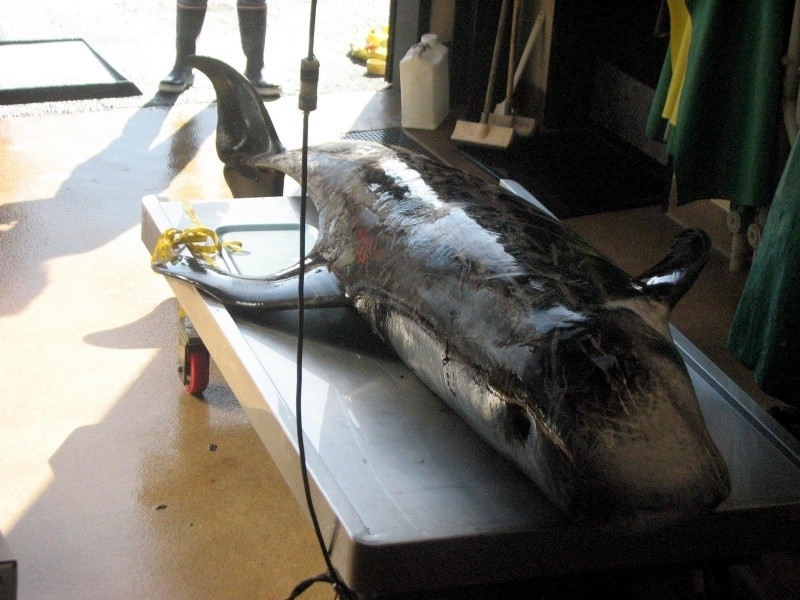 This species has a tall, curved dorsal fin that tends to be more erect in males and long flippers. 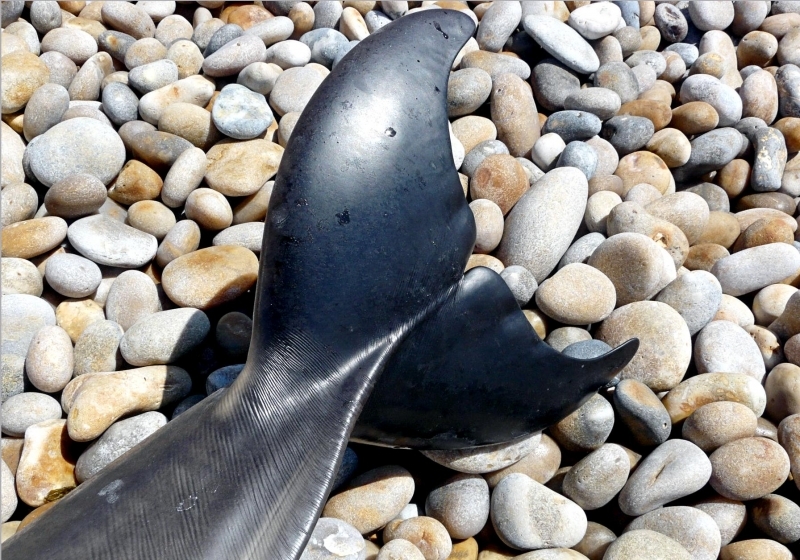 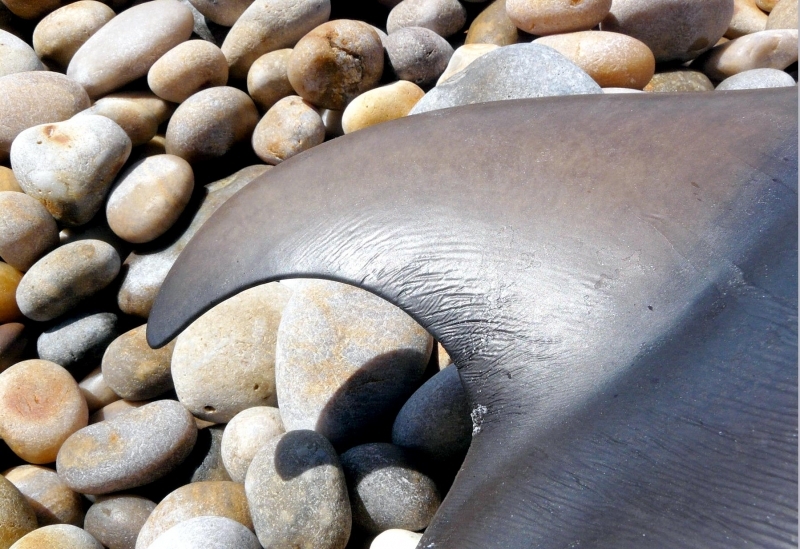 The flukes are broad & curved with a deep notch and the tail-stock is slender. 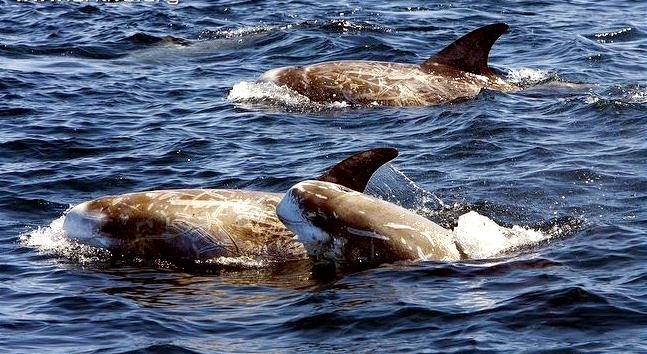 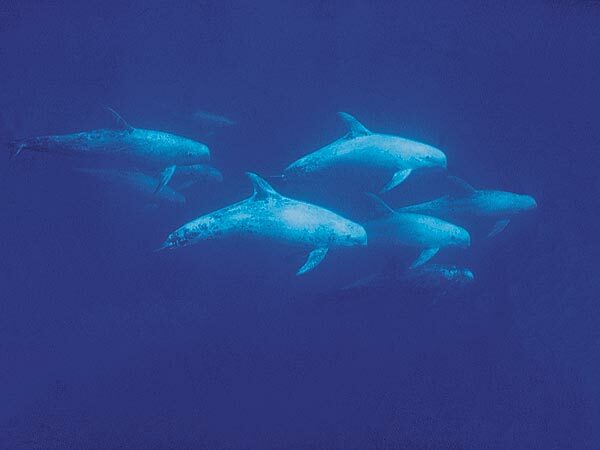 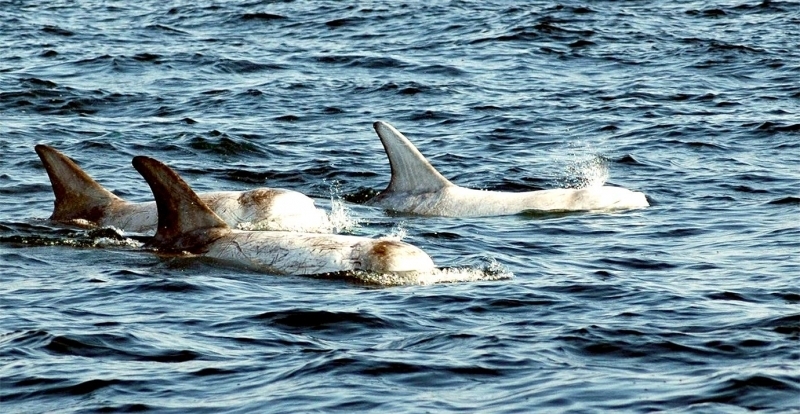 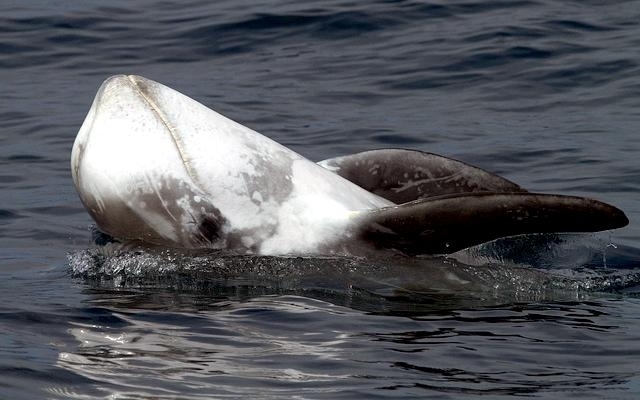 Risso’s Dolphins are a gregarious species that form pods of between 3-30 individuals on average, however they have been known to form massive pods of thousands of dolphins. 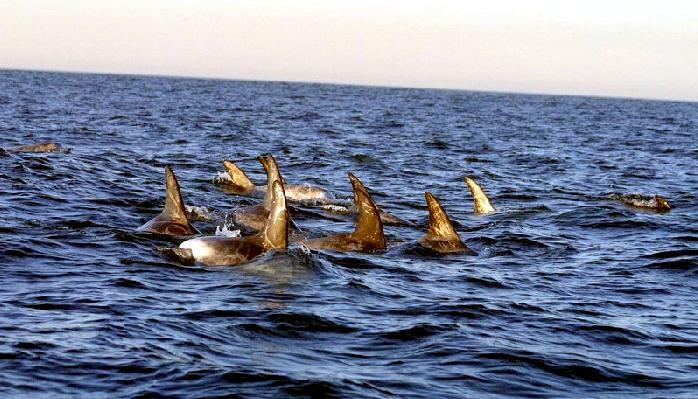 Recent studies indicate stability among pods and it is thought that members may be genetically related. 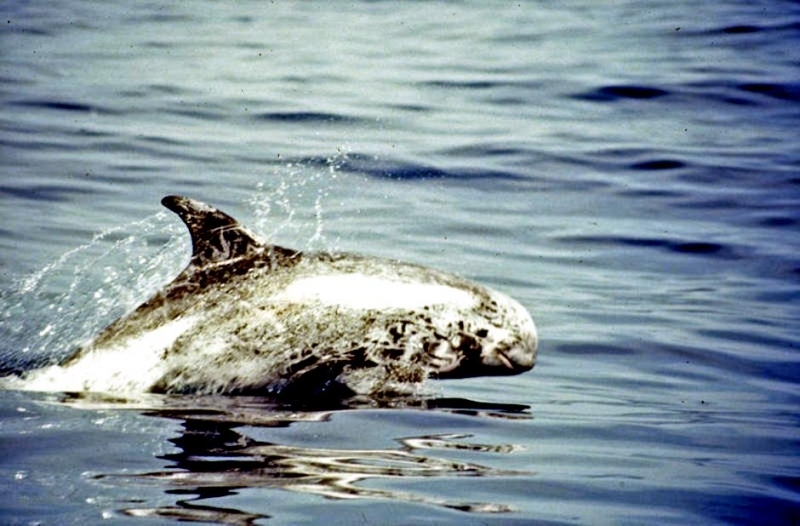 They also travel with other dolphin species and hybrids between Risso’s Dolphins & Bottlenose Dolphins have been recorded in the wild and in captivity. 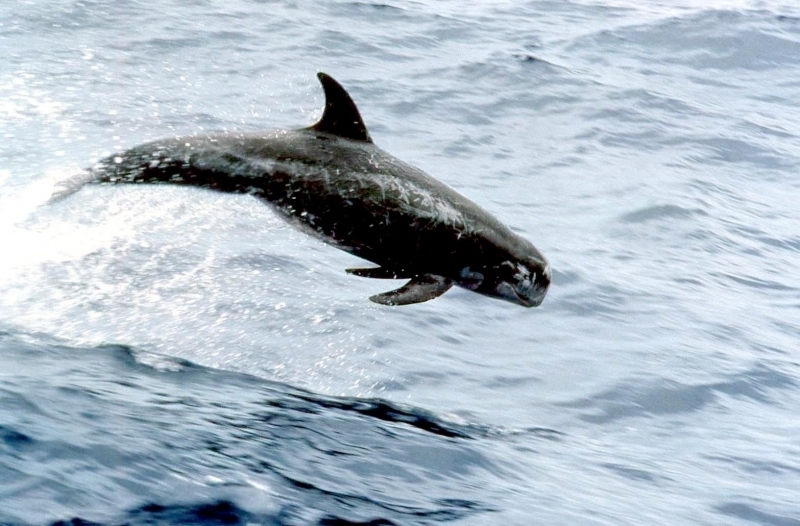 They are an agile species that perform leaps and fluke & flipper slapping. 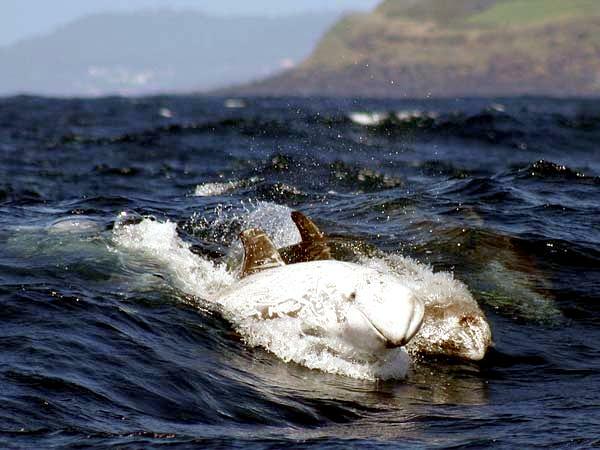 The lifespan is estimated at 20-40 years. 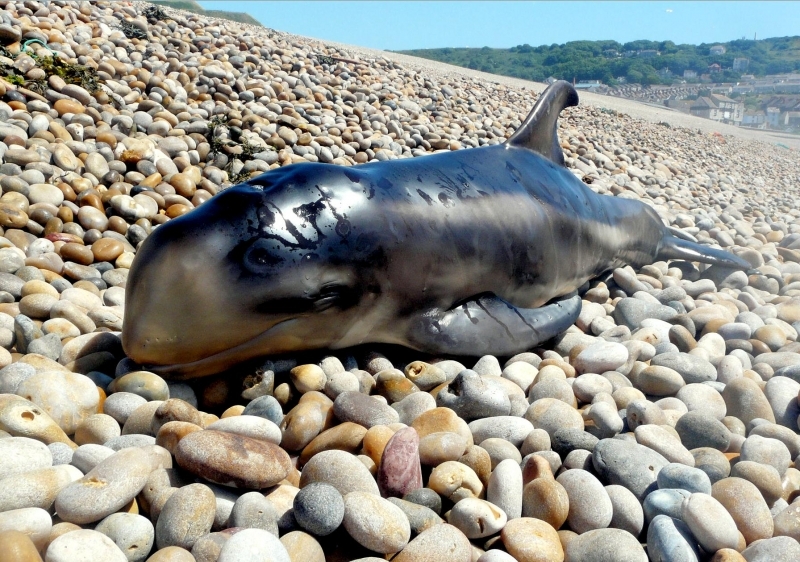 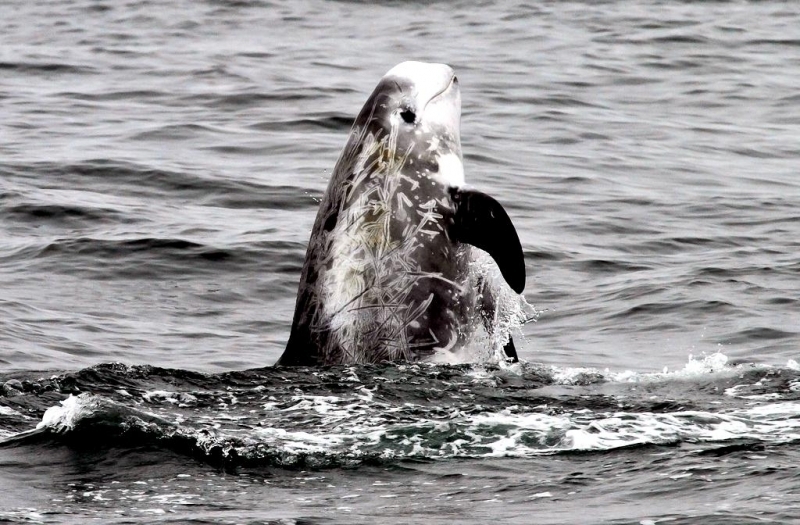 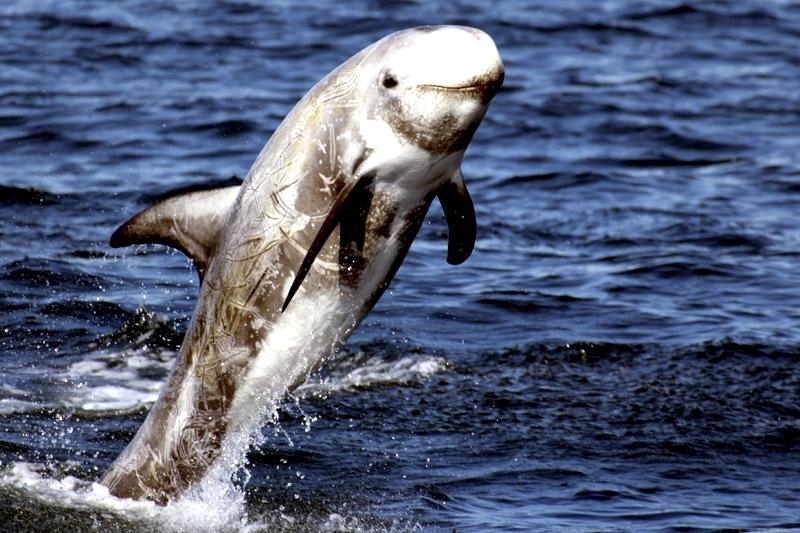 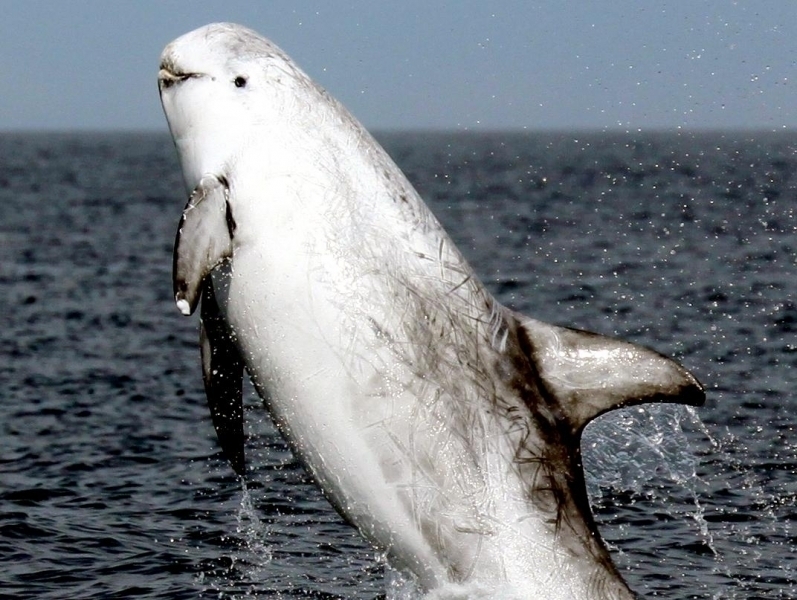 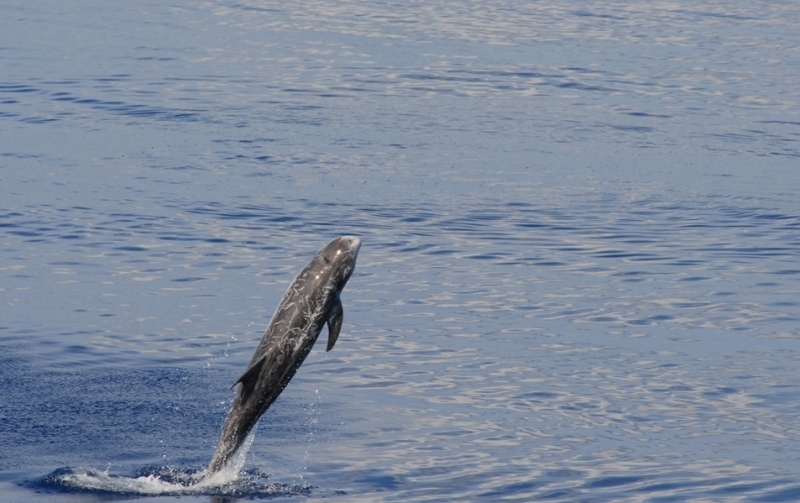 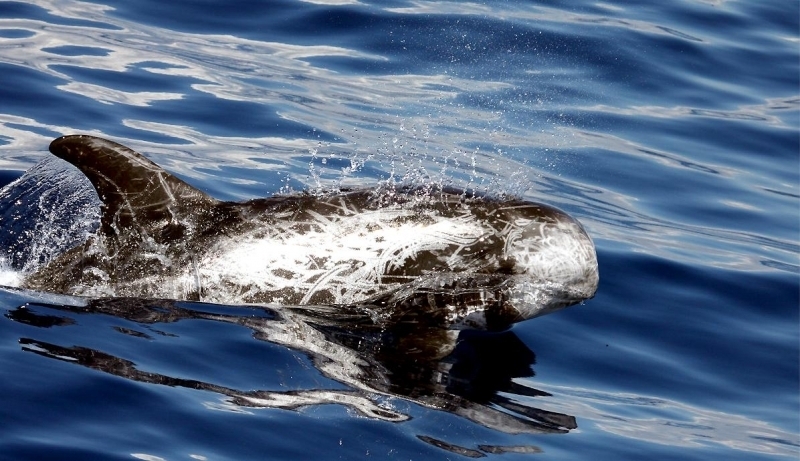 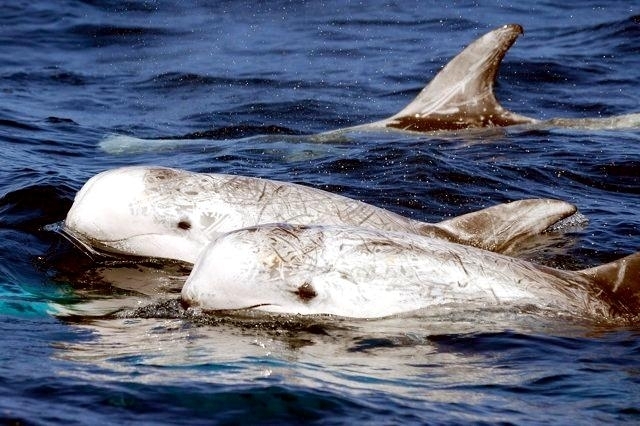 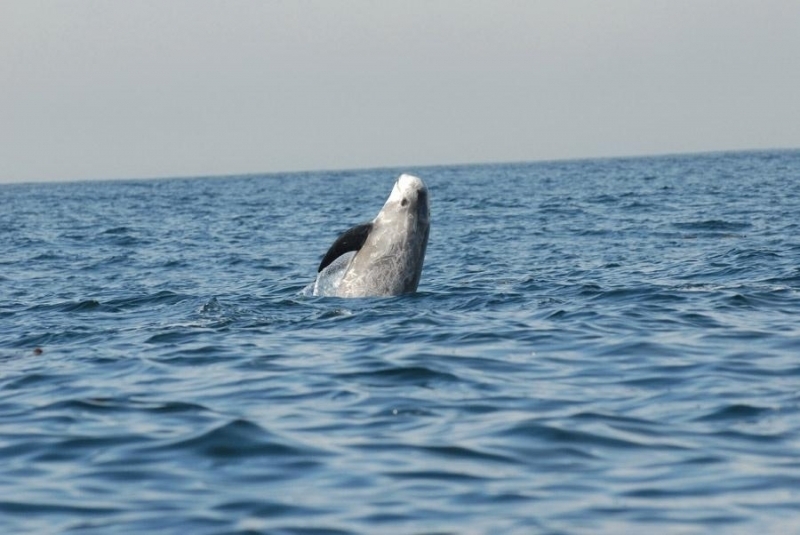 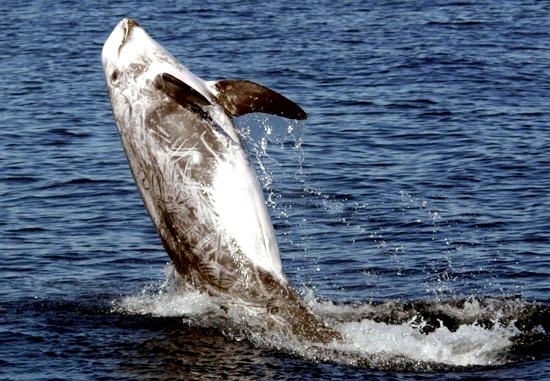 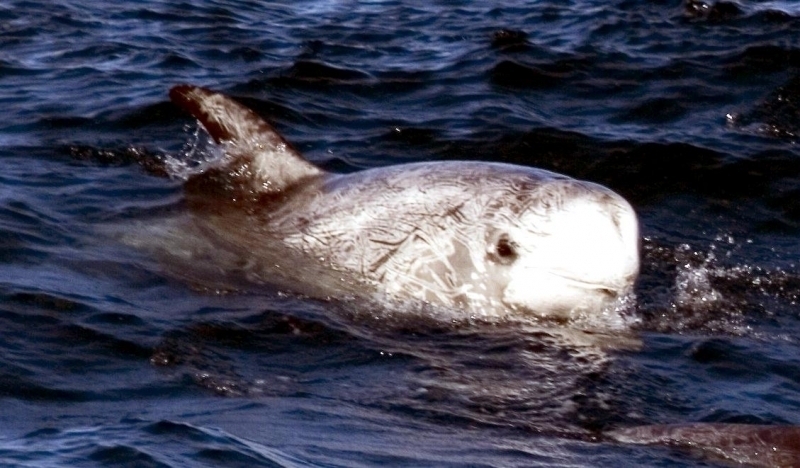 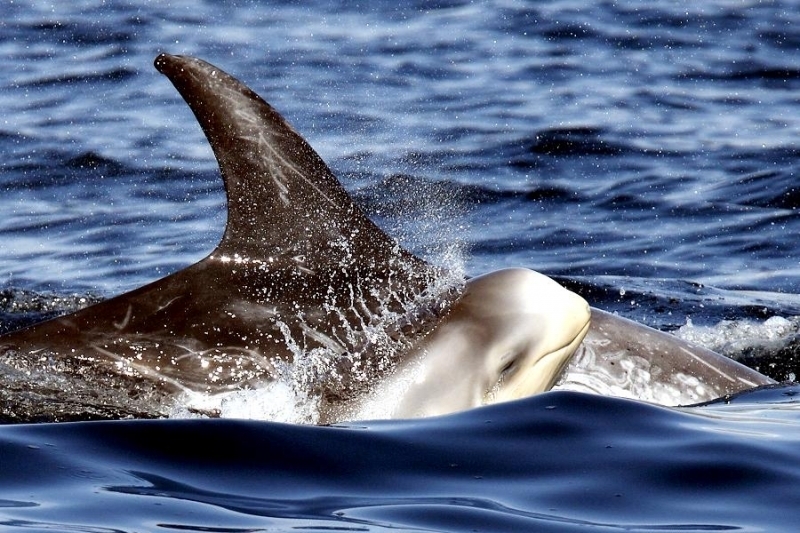 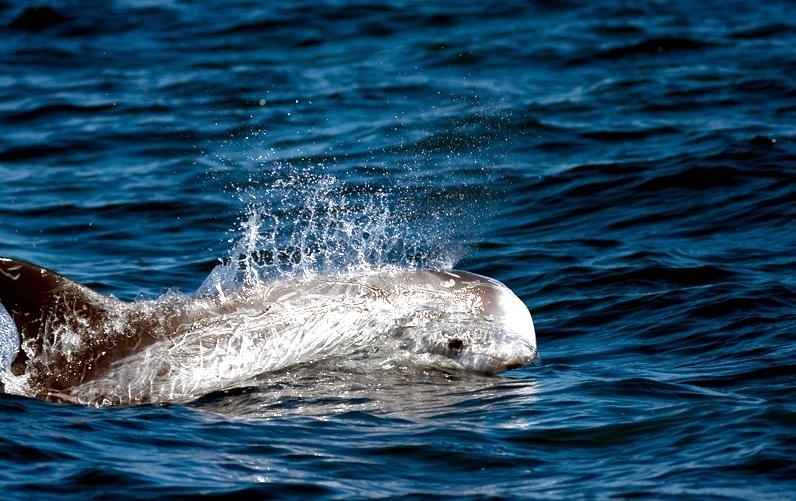 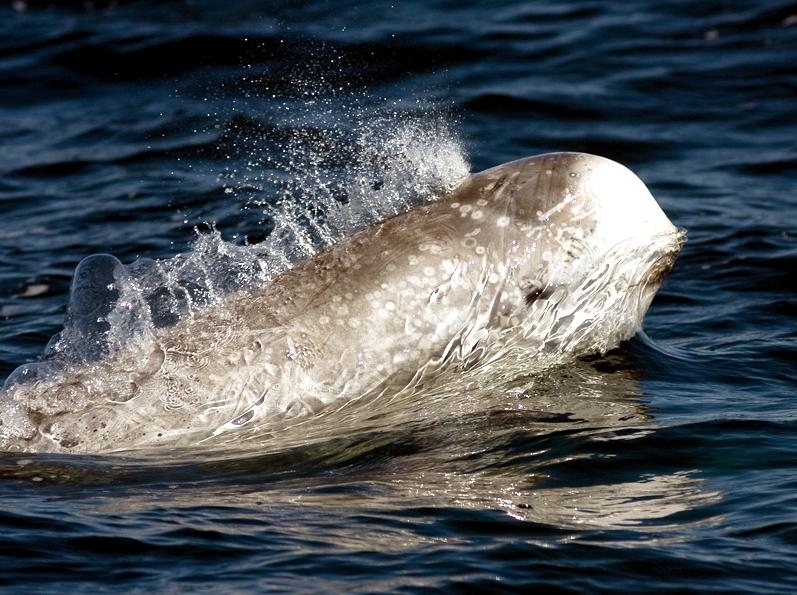 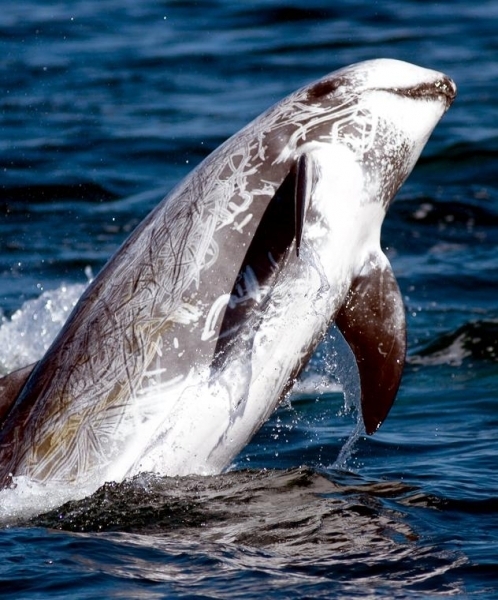 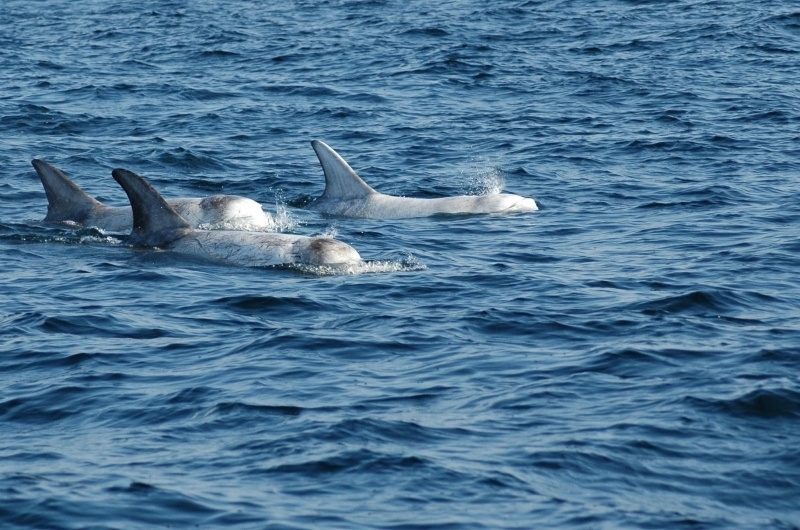 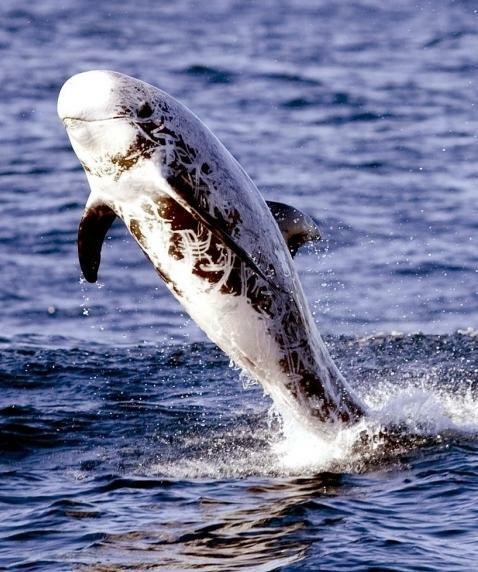 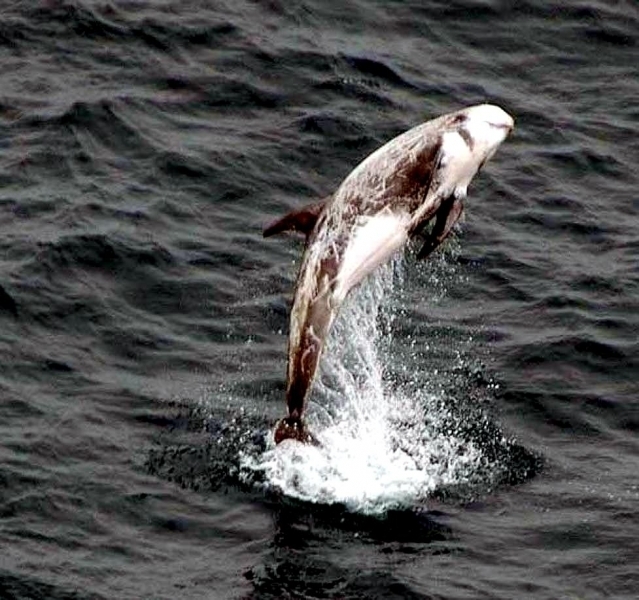 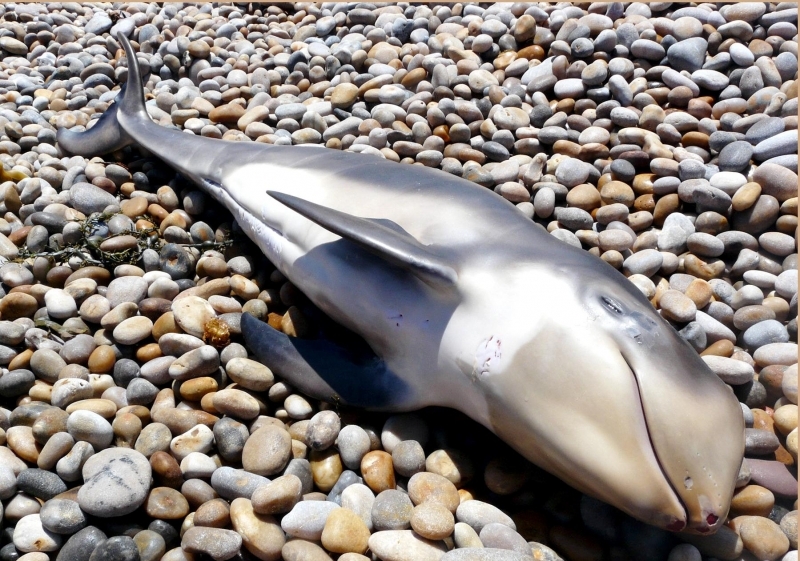 Risso’s Dolphins are found in offshore temperate & tropical waters worldwide. 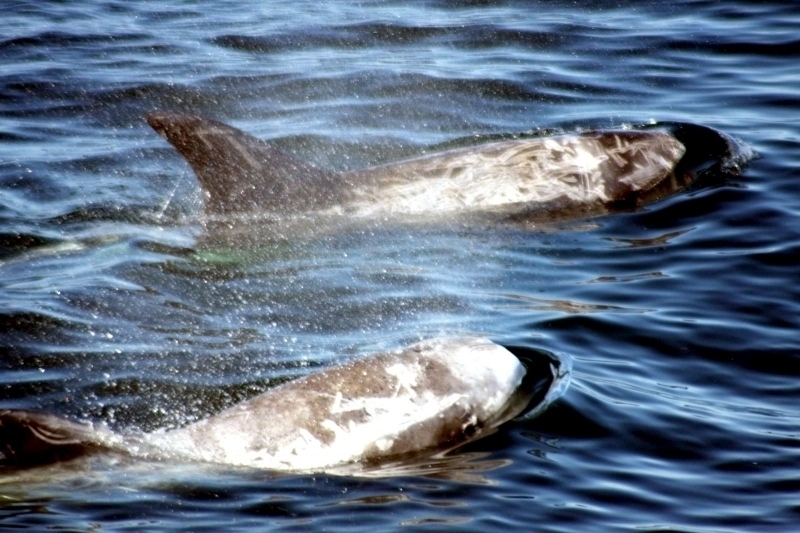 The northernmost range of their habitat is Newfoundland and the Shetlands in the Atlantic and the Gulf of Alaska in the Pacific. 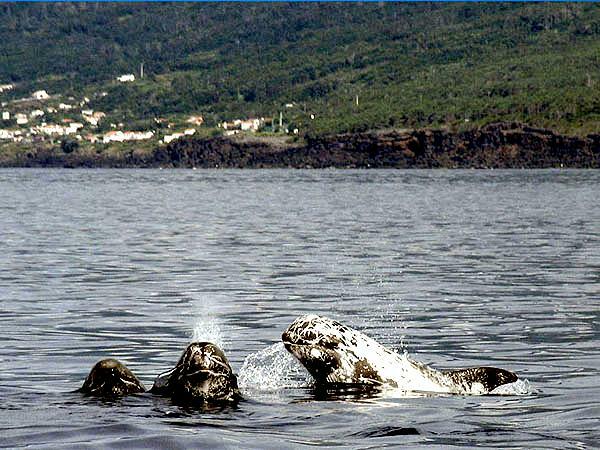 The southern ranges are Cape Horn, the Cape of Good Hope, Australia and New Zealand. 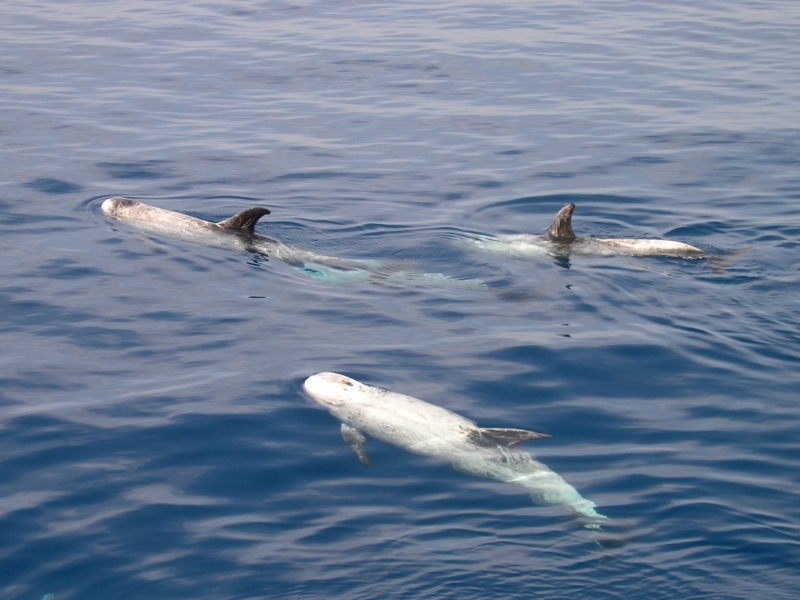 It is not known whether this is a migratory species, however they may move to cooler waters during warmer months and travel to follow prey movement. 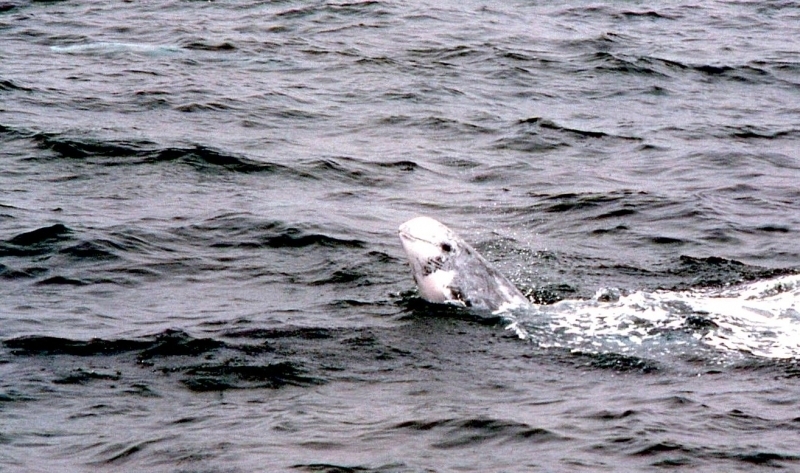 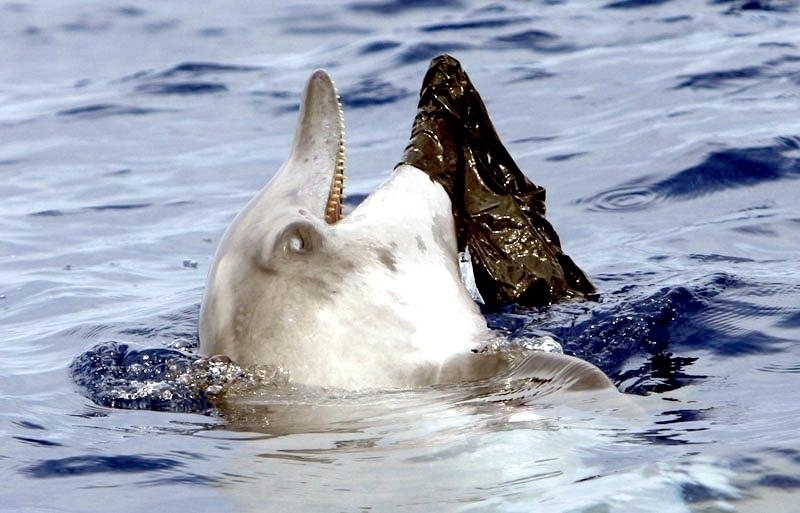 Risso’s Dolphins feed primarily on squid and are also known to feed on a variety of fish. 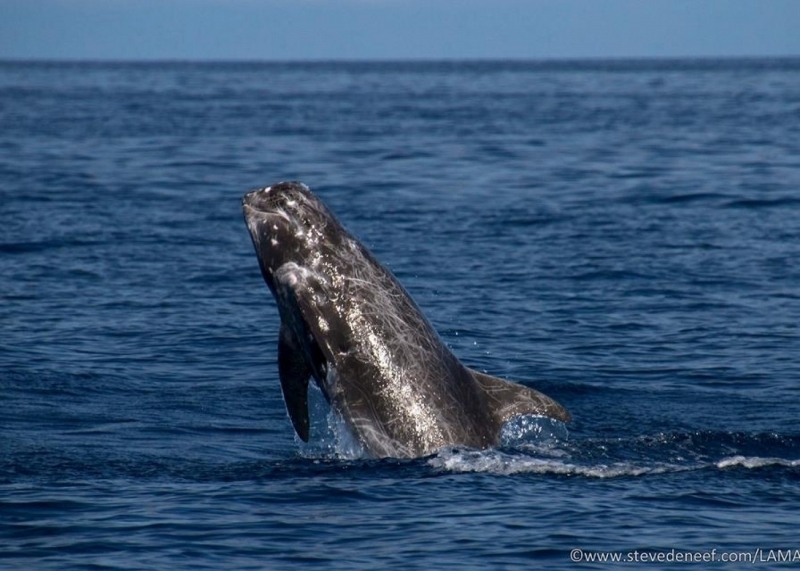 They are thought to reach sexual maturity when they reach between 2.6-2.8 meters in length in both sexes. 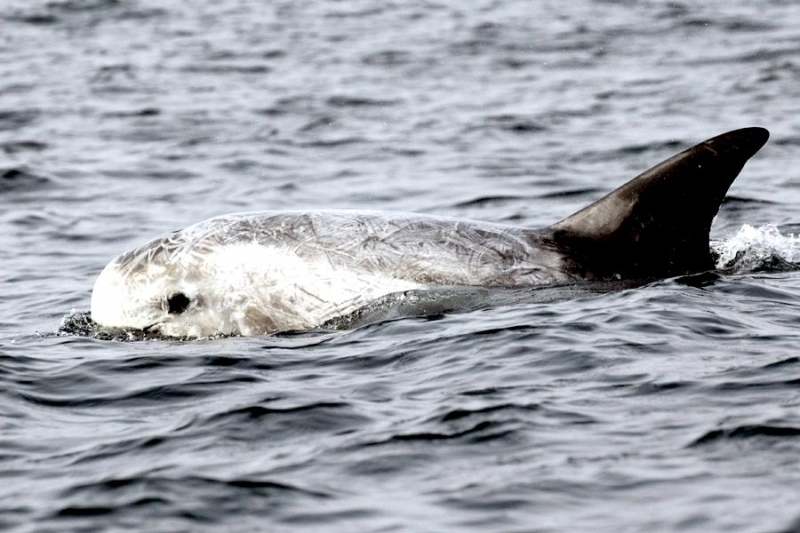 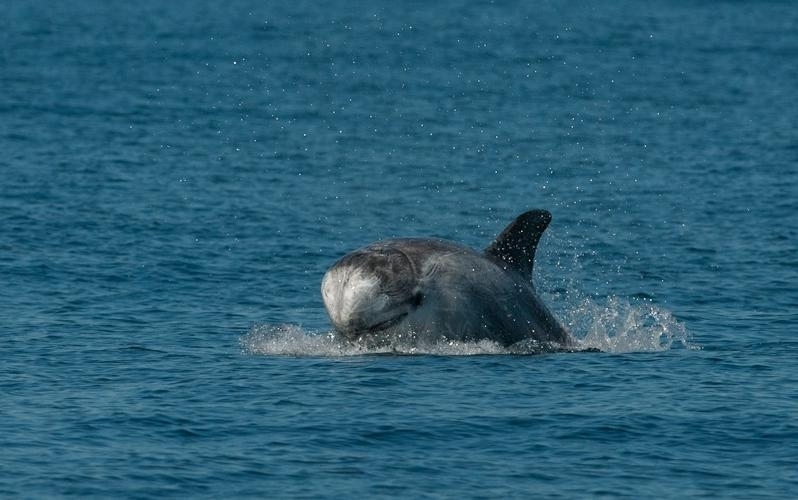 Little is known about the reproductive habits of this species, however Risso’s Dolphins in the north Atlantic Ocean have been observed calving during summer months. 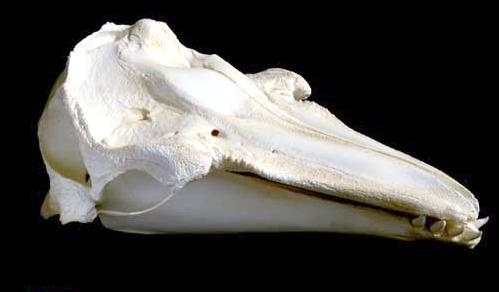 Calves measure about 1.2-1.5 meters in length at birth.